Learn how to make the Spring Rose Earrings using pretty Swarovski half drilled pearls and sterling silver earring bases. 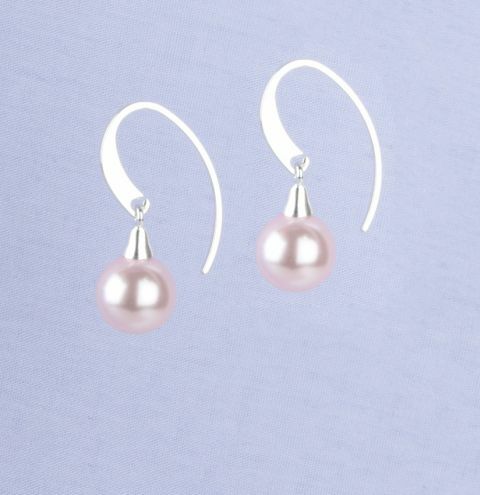 Take your half drilled pearl and attach to one of your sterling silver screw ends. Open the loop on your earring base carefully, and join with the loop on top of the screw end.